This entry was posted in family, family support, maternity leave, pregnancy and tagged #LeadOnLeave, Family Support, Lean In, Paid Maternity Leave, Pregnancy, US Maternity Leave. Bookmark the permalink. Amen. We, as a nation, have traded pride in our craft and family-informed ethics for acquisition and self-centered focus. There are signs, Mom’s is a case in point, that some of us are learning that, in order to evolve, we have to learn from our past. You offer this wonderful benefit to “all full time employees” and I hope that includes the fathers, too. My husband was unemployed (thank you Reganomics!) when out first child was born and did primary childcare as I had a job to go back to. The bond between them is so strong that 30 years later it still seems like they are “joined at the hip” most of the time. Does “maternity leave for all full-time employees” also count for men/fathers? Do you have paternity leave or plan to introduce it? Thanks! Congratulations. I am proud to have been associated with a company that thinks outside the box and is progressive in creating changing. 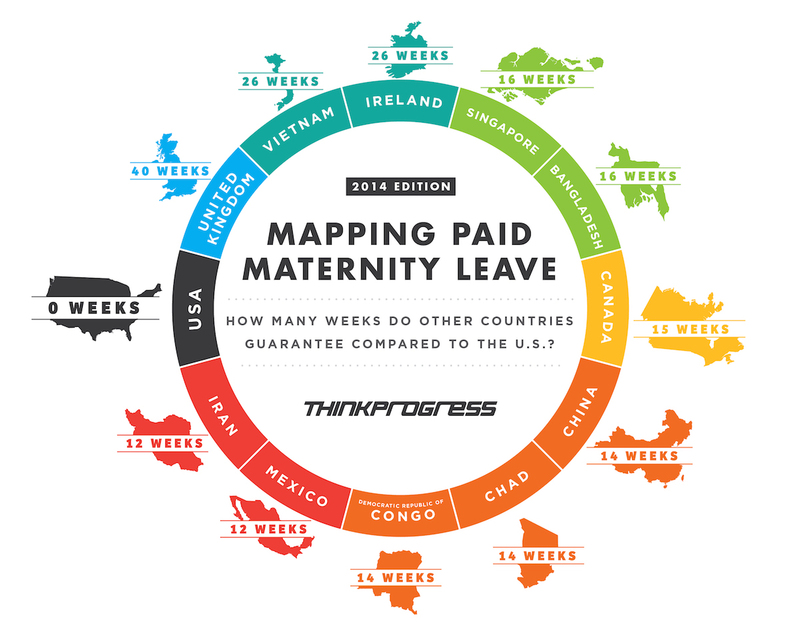 Do you offer maternity leave at the rate of the new Mom’s full salary? Very nice Scott. I am very proud of you. You are a great example of what a loving couple can accomplish. I refer to your own parents and to you and your wife. props for taking the initiative and not waiting for a gov mandate. respect. One more reason to shop at MOM’s, as consumers we need to vote with our wallets. Scott, congratulations on your success with Mom’s. I just passed one of your future stores in the old Hecht building on New York Ave. I decided to check out your success online and came across your blog about working mom’s and family & how things are different now. Great blog and KUDDOS for what your are doing. My server could not find this website. Could you check it and re-post? So proud of your organization… for more ways than I can count! Thank YOU for being a pioneer and always pushing the envelope! Thank you for making it easier to be part of a healthier happier world! It is astounding that the US still lags so behind. After, knowing what support and help moms in other countries have… i take my hat off and then some, to all the parents here in the US who have managed to raise their children despite enormous obstacles!! Has MOMs looked into Paternity Leave?